Enjoy the training privileges, cost savings and convenience of our Employer Services Network. Becoming a Member of our Employer Services Network doesn’t only save you time and money, but puts you in good company. No less than eight of the UK’s Top 10 leading manufacturers are Members – along with a host of medium-sized companies and smaller firms from every corner of the industry. 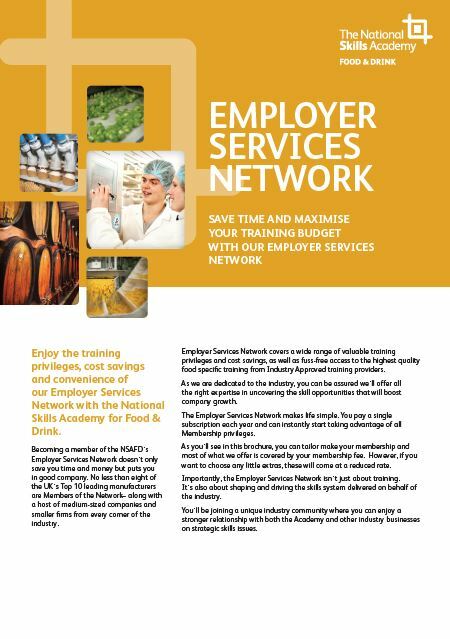 Our Employer Services Network covers a wide range of valuable training privileges and cost savings, as well as fuss-free access to the highest quality food specific training from Industry Approved Training Providers. As we are dedicated to the industry, you can be assured we’ll offer all the right expertise in uncovering the skill opportunities that will boost company growth. Importantly, the Employer Services Network isn’t just about training. It’s also about shaping and driving the skills system delivered on behalf of the industry. 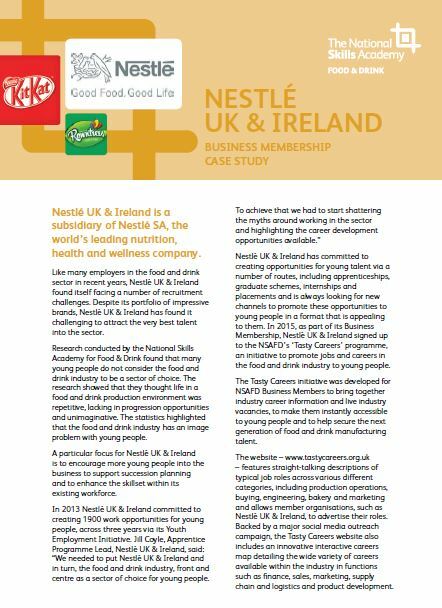 You’ll be joining a unique industry community where you can enjoy a stronger relationship with us and other industry businesses on strategic skills issues. Want to become a Member of the NSAFD's Employer Services Network? Get in touch! Included in Membership is access to our Research & Development Tax Credit Assessment for businesses. Download our brochure for more information on Research & Development Tax Credits. Download Produce World's testimonial about working with NSAFD & JumpStart on their Research & Development Tax Credits.